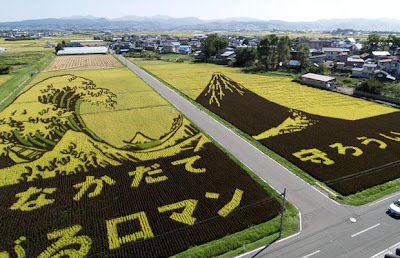 13 Above: Artificial Wonder - Amazing Paddy Arts !! 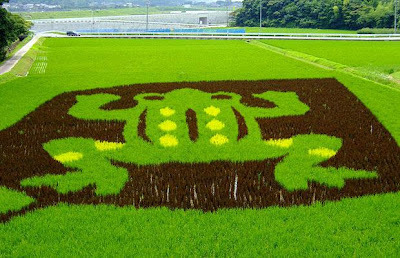 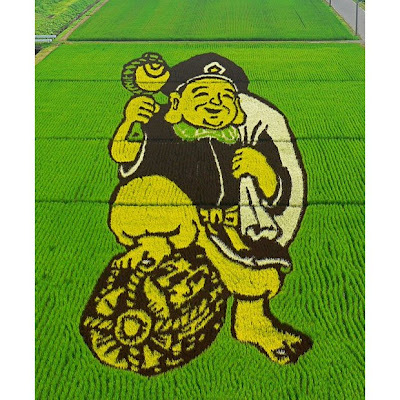 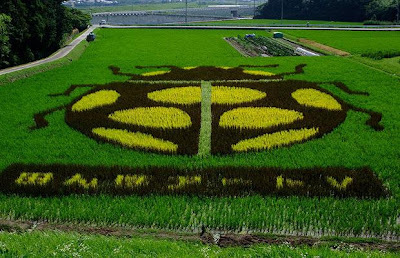 A group of farmers have created these extraordinary 'murals' by planting rice in different colors in Japanese paddy fields. 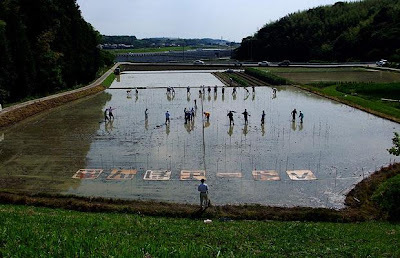 A group of farmers put together these extraordinary murals - by planting different colored rice in giant paddy fields. 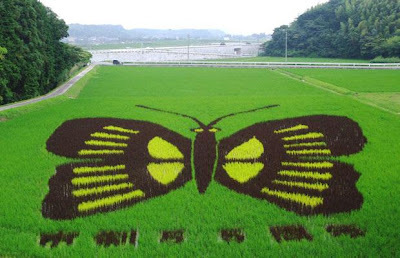 SOLENT The stunning creations emerge in the late summer months after the rice plants have had chance to grow in the fields. 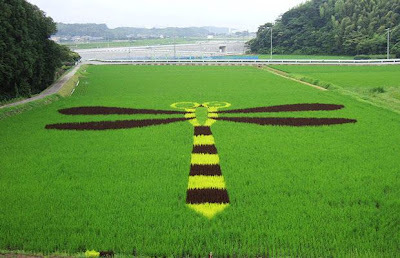 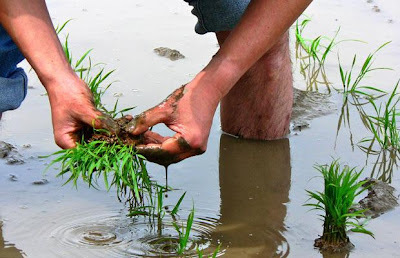 The creations emerge in the late summer months after the rice plants have had a chance to grow. 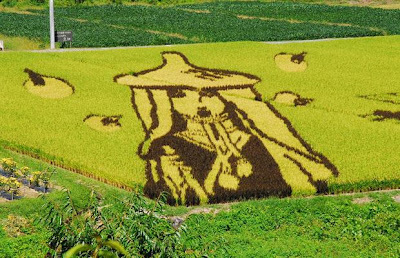 But the farmers first sketch out their designs on computers so that they know exactly where the rice needs to be planted. 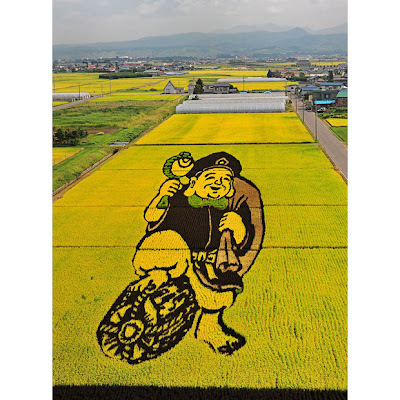 The most famous work is grown in the village of Inakadate, 600 miles north of Toyko, where the tradition began in 1993.